Amid calls for outright cancellation of the exercise, the Independent National Electoral Commission (INEC) has insisted on resuming collation of Rivers governorship election results come April 2. This comes, as hundreds of members of registered political parties under the aegis of Inter-Party Advisory Council (IPAC) yesterday a peaceful demonstration to the State Police Command and office of the Department of State Services (DSS) in Port Harcourt to demand conclusion of collation and declaration of the results, suspended on March 10 on account of alleged interference by security agents. He condemned the move to unseat the Resident Electoral Commissioner (REC), Obo Effanga. Similarly, the chairman of Independent Democrats (ID), Samuel Ihunwo, said the people no longer want militarisation of the electoral process due to lives allegedly taken by soldiers on election day. He also insisted that the REC must be allowed to conclude his work. The Guardian gathered that concerted efforts were being made by some top politicians from the state to persuade the presidency to prevail on INEC to cancel the March 9 election, which the Peoples Democratic Party (PDP) and the African Action Congress (AAC) both lay claim to as winner. But beyond the ongoing power play, the commission’s head of voter education and publicity in Rivers, Edwin Enabor, maintained that the body would proceed with its April 2 to 5 date for the completion of the entire exercise. According to him, supplementary election would be conducted where necessary on April 13 and results announced between April 14 and 15. 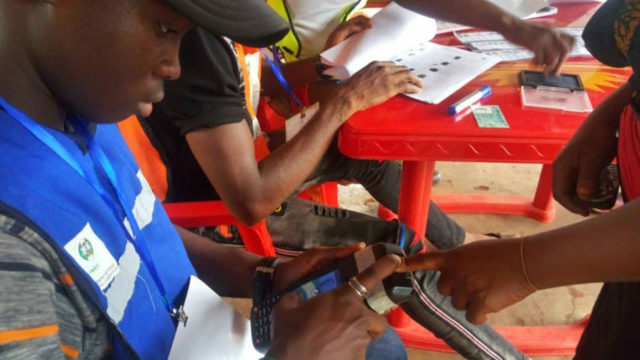 Also yesterday, the ruling party in the state raised the alarm over an alleged plot by the electoral umpire to relocate the venue of the exercise. It claimed the commission was planning the act at the behest of AAC and some extraneous forces. In a swift reaction, the electoral body refuted the allegation. Furthermore, INEC’s National Commissioner in charge of Information and Voter Education, Festus Okoye, reacting to a petition by AAC’s candidate Biokpomabo Awara asking to stop the collation, reaffirmed next Tuesday for the assignment.